Salon O is an upscale boutique salon with an array of day spa services, located in Syosset, NY. We specialize in the latest trends in Style, Cut, Color, as well as Nail and Make-up application. In our salon, we derive success from teamwork and education. As techniques change, products improve and new services are introduced, we will be prepared (through education) to satisfy the new demands of our clients, thus ensuring our successful position in the future. Our philosophy is geared toward client satisfaction through teamwork, education, fulfillment and change. We continue to create new concepts and only use the best products in the industry today. 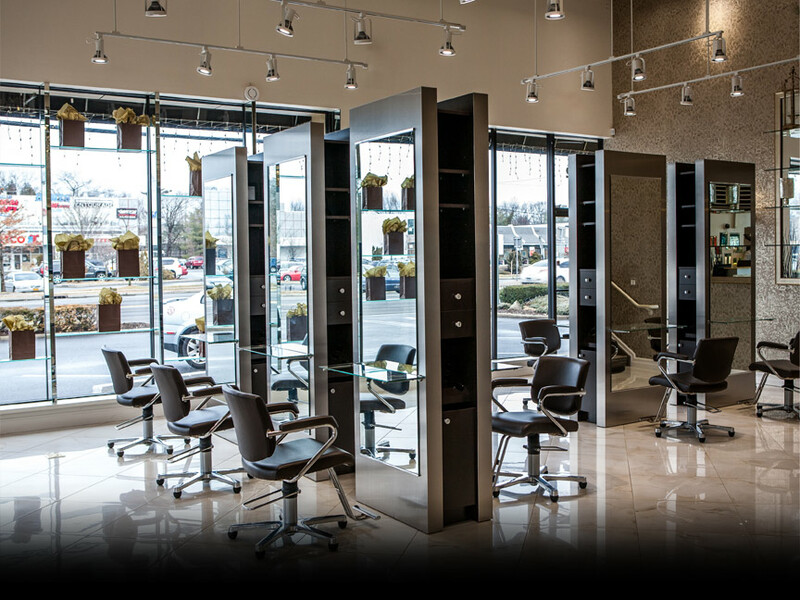 In the past 5 years, Salon O has grown from a 1300 square foot location in Plainview, to our all new 3400 square foot state of the art location in Syosset, NY. The owners of Salon O have traveled the world for new and innovative ideas in the fashion industry for over 30 years. Our all new location provides us with the space to accommodate our customers and offer the optimal experience for them. While the look of the Salon sets the tone for a high-end experience, it is the friendly, personal and attentive service paired with the highly talented styling team that truly makes Salon O one of a kind.